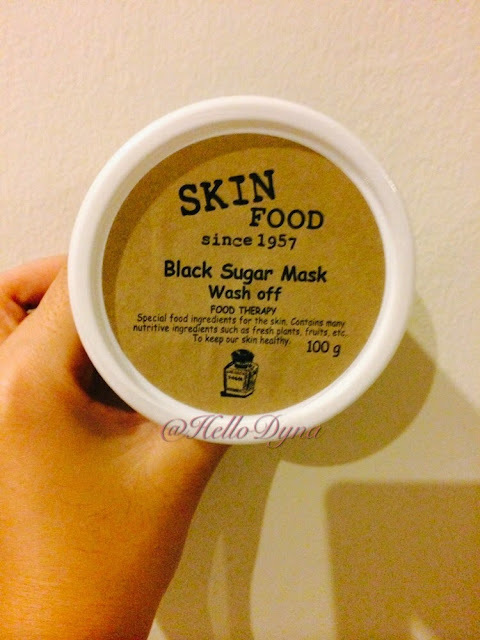 This,yes a face wash mask..tbh it is my first face wash product ever..i never used any face wash product before..(coz im actually lazy to use this and also wanna keep my face neutral).this is 진짜 the first one ever. And i bought it coz my sister wanna treat me.. Yeay 언니. Hehe.. I got it last Friday and it was the first day I started to use it..it was cool though..oh,it only requires us to use it for 3 times a week (ONLY). I havent had my 2nd wash yet..im doing tonight maybe..heeee. 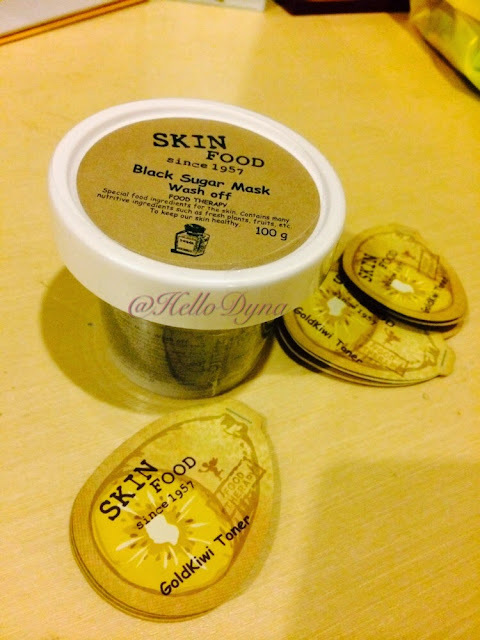 Its functions are to of course make our skin healthy and also we can make our face aged slowly..yeay and im not sure if it does remove wrinkles too. (Coz ive asked a lot of different wash last time to know the difference). Bought it and i got 3 samples of Goldkiwi Series.. 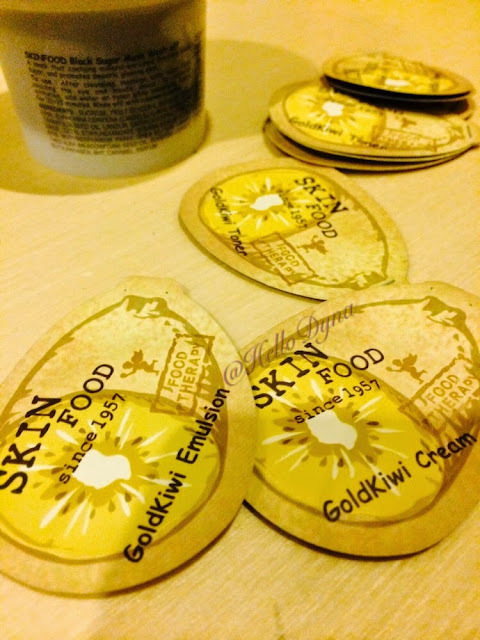 So, the Goldkiwi series consists of Goldkiwi Emulsion, Goldkiwi Cream and Goldkiwi Toner..
1. After u washed off the face mask, apply all these three items follow according to the arrangements. 2. First,apply the toner. Spread and apply it nicely all over ur face. 4. And lastly,apply the cream. Idk why but after i apply all these three items,my face became oily and that was what i expect when i made up my mind to use it. My mission is to keep my face dry(not that dry tho) and not oily..
So,tonight im planning to not apply these items to see whether my face will be oily or not if i didnt put them on. 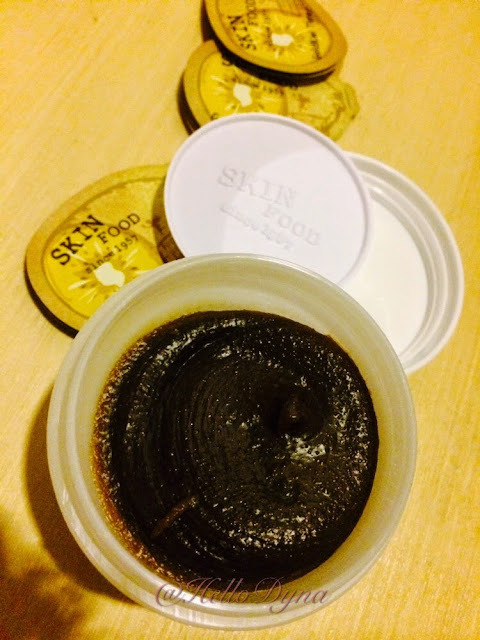 But,just another main point..Skin Food is a good product too besides Benefit. Yeap, I use Benefit for my verrrrryyyy first face product..I meant like i use the Porefessional. I love Porefessional coz the texture is not oily at alll and keeps my face dry-moist normally for the whole day like i want. Ummm..nothing much to say..let me end this post here..